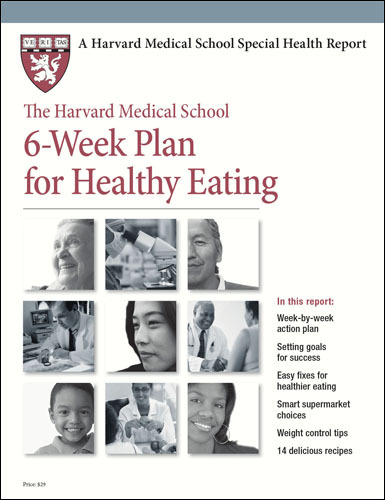 FOR A LIMITED TIME, SAVE 25% ON 6-WEEK PLAN FOR HEALTHY EATING. ENTER PROMO CODE LONGLIFE12 AT CHECKOUT. Low-carb eating plans like the Atkins diet were once so popular that they graced the covers of Newsweek and other magazines. Some experts championed these diets as the best way to lose weight. Others scorned them as the heart-clogging way that might help you shed pounds but put your health at risk. Now several large randomized controlled trials — the gold standard of medical research — have shown that low-carb diets are as good as low-fat diets for losing weight, and may even be better. But how do they fare for long-term health? Most low-carb diets deliver more protein and fat than "regular" or low-fat diets. We know there are good and not-so-good fats and carbohydrates. Could the same hold true for protein sources? If so, then the type of protein that dominates a diet can influence health as much as the kinds and amounts of carbohydrates or fats. Researchers at the Harvard School of Public Health have been following 85,000 female nurses and 45,000 male health professionals since the mid-1980s. Every few years, the participants fill out questionnaires detailing what they eat and provide other information on their health. This wealth of data is offering some insight into the long-term effects of different low-carb diets. The more protein from red meat, the higher the chances of developing heart disease. Women who averaged two or more servings of red meat a day had a 30% higher risk of developing heart disease than those who had one or fewer servings a day. Replacing one serving of meat with one of nuts reduced the risk by 30%. In a separate study, the researchers created scores that reflected both the amount of carbohydrate in the diet and the main sources of protein. Among the nurses and male health professionals, those with a low-carb diet heavy in animal protein were 23% more likely to have died over 20-plus years of follow-up than those with "regular" diets, while those following a low-carb diet rich in plant protein were 20% less likely to have died. Good sources of protein deliver different amounts of saturated fats, carbohydrates, and fiber. Here's what 3 ounces of different protein sources contain. To your body, protein from pork chops looks and acts the same as protein from peanuts. What's different is the protein "package" — the fats, carbohydrates, vitamins, minerals, and other nutrients that invariably come along with protein. The two Harvard studies add to a growing body of evidence that emphasizing plant protein sources is a better bet for long-term health. If you are overweight, shedding pounds can improve everything from your blood pressure to the way you feel. Do it the wrong way, though, and shrinking your waistline could also shrink the number of birthdays you get to celebrate. Instead of having bacon and eggs for breakfast, a burger for lunch, and steak for dinner, getting more of your protein from plants may help you steer clear of heart disease and live longer. Is it okay to keep on taking Ambien for my sleeping problems? But when I see patients who are taking Ambien, they have usually gotten the prescription elsewhere, because I am reluctant to prescribe it. As a geriatrician, I treat older patients, and sleeping pills, in general, are problematic for older people. They lead to grogginess the next day and may contribute to cognitive problems, poor balance, and falls. This is also true of over-the-counter sleeping pills like Sominex and nighttime pain medications like Tylenol PM, which contain diphenhydramine (the active ingredient in Benadryl), an antihistamine with a sedating effect that may be mild and safe enough in a younger person but can be overpowering in an older one. Diphenhydramine also has a long list of side effects, including urinary retention, confusion, and constipation. Ambien is effective, particularly if the difficulty is getting to sleep. But many people are like you: once they start taking Ambien, they don't like to give it up, and it is not approved for long-term use, nor do I think it should be. Smaller doses eventually become less effective, so people have to go to a higher dose, and that's when we really start to see side effects like daytime sleepiness, especially in older people. Lunesta is even more ill-advised for older people, because it stays in the body longer. Patients sometimes ask about melatonin, the hormone released by the pineal gland in the brain that is thought to promote sleep. Taken in pill form, melatonin does help some people, and I'm not aware of any serious downside. But because it's classified as a supplement, there's little FDA oversight of melatonin, and the available products are of uncertain quality. Sometimes insomnia may be a symptom of depression or anxiety. Trazodone (Desyrel), an antidepressant with a sedating effect, can be effective in such cases. It's a safe drug, which can be started at very low doses that can be increased slowly until an effective amount is reached. Mirtazapine (Remeron) is another sedating antidepressant that can be prescribed for sleep problems. It can stimulate appetite, a benefit for many older people who don't eat well. When all else fails and people are really desperate for sleep, I will sometimes prescribe a short course (just a few weeks) of low-dose Ambien. Even half of a five-milligram tablet may be enough. I also advise people to take it just on some nights. 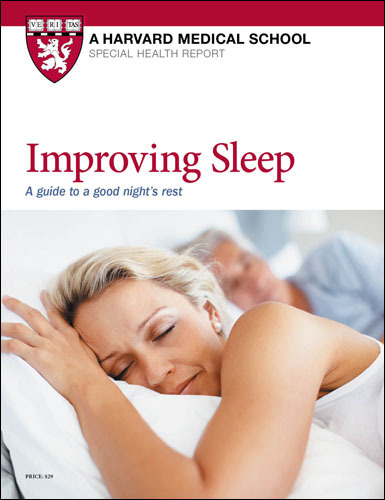 Sleeping pills are not the only way to deal with a sleeping problem. There are several well-described behavioral strategies that can help, such as not staying in bed unless you're sleeping or removing the television or the computer from the bedroom to cut down on the late-night stimulation. These may seem like relatively straightforward steps to take, but people often need counseling and encouragement to change an ingrained behavior, no matter what it is. A study published in 2011 found that even a very brief behavioral program (two counseling sessions plus two follow-up calls from nurses) was an effective way to treat people with chronic insomnia. As a practical matter, very few primary care physicians are trained to provide even that kind of help or have the staff to do so. The same is true for geriatricians, including me. A referral to a specialized sleep center may be necessary, but, understandably, some patients balk at seeing yet another doctor, unless their sleeping problems are very serious. In my experience, talking to the patient and getting a good history can often reveal the source of his or her sleeping problem and lead to some solutions. Caffeine interferes with sleep, and you should consume little, if any, after noon. You'd be surprised at how many people can't sleep because they are drinking caffeinated coffee, soda, or tea — and that includes green tea — throughout the afternoon and early evening. Alcohol does have an immediate sedating effect, so many people use it to get sleepy, but during the night it interferes with restful sleep. Sometimes a medication is to blame, and switching to an alternative is the answer. Drinking too much fluid after supper can cause people to wake up because they need to go to the bathroom. The overall point here is that sleep problems are often the consequence of a behavior or circumstance that can be changed or treated without resorting to a sleeping pill. I've also found that some of my patients believe they aren't getting enough sleep, when they actually are. If you go to bed at eight or nine, you can wake up at three or four and still have gotten seven to eight hours of sleep. And while afternoon naps may not provide the same quality of sleep as longer sleep at night, they still count as sleep.